Free, no registration required. You've probably heard you should learn to "see light," but what does that mean? You see amazing images in magazines by major pros who travel the world capturing magnificent scenes. I'll teach you how to get some of that magic in your photos, right in your back yard. You'll learn how to recognize what the light around you is doing and use it to add impact to your pictures. Q&A to follow. Free, no registration required. Continuing Part I, I'll do more live demonstration of lighting techniques in the classroom. I would love to present to your photography club or any other organization about photography. I've done presentations for Horicon Public Library and Beaver Dam Area Arts Association. I specialize in wedding and landscape/nature photography. My work has been published in Lakeland College Mirror, Dodge County Pionier/Mayville News, Wisconsin Basketball News, Local Leben, "Love, Madison Weddings," The Knot and Wedding Wire. Clients have included brides and grooms from around Wisconsin, Widmer's Cheese Cellars, Mandel Development Group, City of Horicon, Horicon Chamber of Commerce, American Family Insurance Michelle Wanie agency, Beaver Dam Community Theater. Presentation fee: $100 hour of presentation, plus $20 travel within 120 miles round trip of Horicon, Wisconsin. Additional fees for extended travel. Would it help to have personal time with a professional to walk you through concepts like exposure and metering, TTL or manual flash, how to identify and use all types of light whether you're in the studio or field, how to get accurate color in camera and print, how to improve your landscapes or portraits, camera controls and settings, or getting more out of Lightroom or Photoshop? Then private instruction is for you. I can react and adapt to your needs in real time whereas a video can't. The instant response feedback and adaptation will accelerate you through concepts quicker than video or books. YouTube is a great resource, but it can also be a waste of time if the video doesn't provide exactly what you need when you need it. Rate: $150 first 2 hours, plus tax, then $50 per hour ongoing as you choose, 2-hour minimum per session. Travel included within Dodge County, Wisconsin. Additional fees for extended travel. In 2017 I declared candidacy for the Professional Photographers of America Certified Professional Photographer program. This is a voluntary and challenging certification almost no Wisconsin wedding photographers take. It demands comprehensive knowledge, skill and demonstration of professional standards, especially in portrait photography. 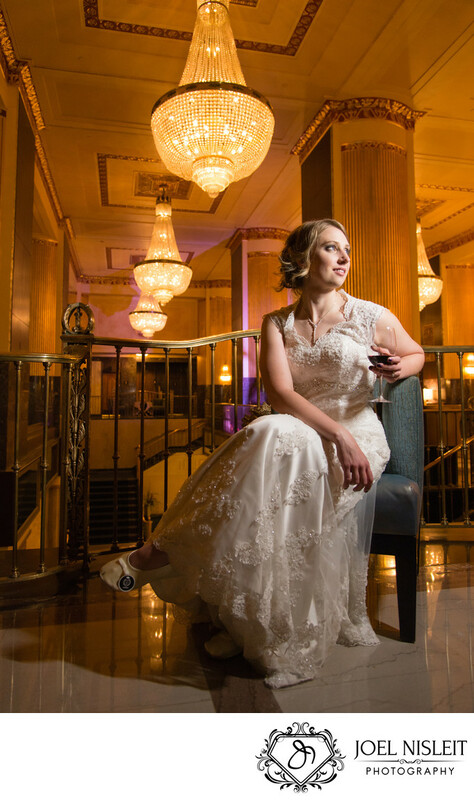 I entered wedding photography in 2012 and have worked for American Wedding Group, Edward Fox Photography, many Wisconsin photographers. My specialties include wedding portrait art, lighting (ambient and flash), posing, exposure, color, landscape, Lightroom and Photoshop. In 2004 I became a photojournalist, reporter and designer for the Dodge County Pionier, a weekly newspaper in Wisconsin, where I won Wisconsin Newspaper Association awards in general news photography, writing and page design. I left the paper in 2010 to pursue copy editing and then wedding photography. What started as a hobby at age 10 got serious over the years and I joined the Lakeland College Mirror newspaper staff as a sophomore with a major in writing. I became editor my senior year and introduced full-color photo collages.